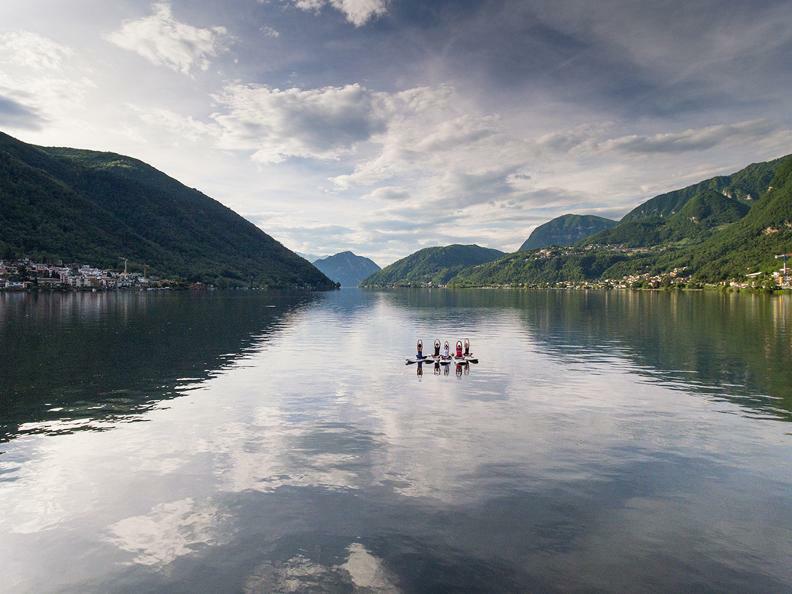 SUP & Yoga is a Yoga lesson on the table of Stand Up Paddle in the lake. In complete harmony with the flow of water and your body, you will find yourself floating on a board, harmoniously passing from one position to another. A fantastic way to enjoy the lake and the nature! The constant movement of the water reminds us to remain soft and delicate, and that while sometimes it can be easy to push to a goal; sometimes what really works is letting go to something bigger and let yourself be carried away by the current to discover what comes after all. 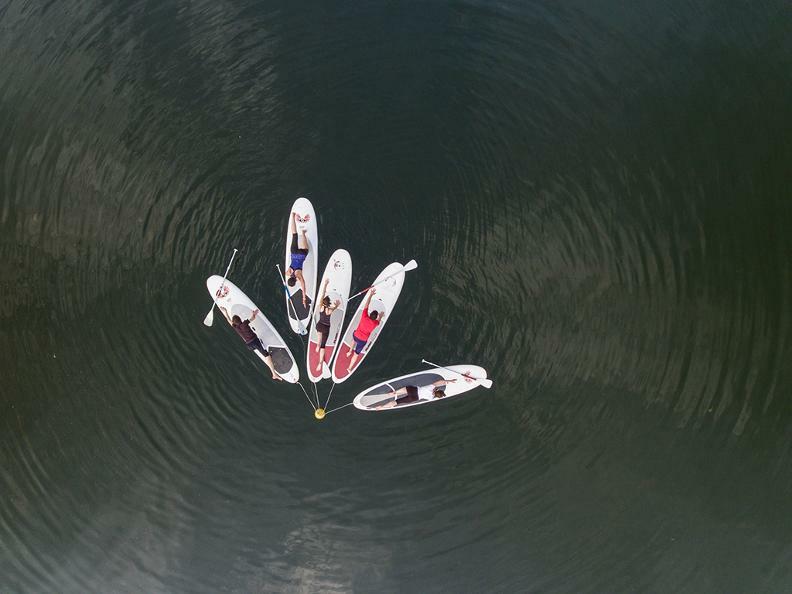 The SUP & Yoga lesson is suitable for all levels of experience, you simply need to know how to swim!